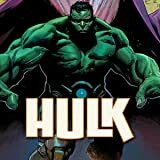 Collects Hulk (2014) #1-16 & Annual #1 and Original Sin #3.1-3.4. Bruce Banner lies at death’s door, shot in the head by an unknown assailant. 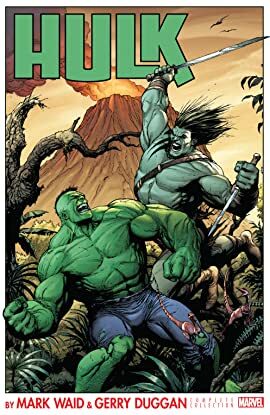 And only the Hulk can save him! But as Banner goes to a dark place, he could drag the Avengers down with him. 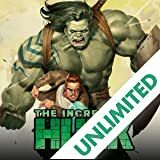 A secret that smashes Bruce Banner and Tony Stark’s friendship is revealed — and when Stark takes extreme measures to save Banner’s life, a new Hulk emerges. Call him Doc Green. 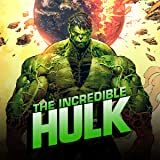 He’s intelligent, ruthless and plans to cure everyone transformed by gamma radiation — whether they like it or not! 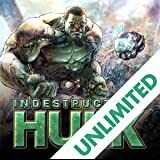 We’re talking Rick “A-Bomb” Jones, multiple She-Hulks and Thunderbolt Ross, the Red Hulk! But Ross won’t go down without one heck of a fight. And will Doc Green’s peacekeeping plans accidentally unleash an even greater threat? 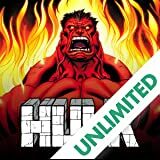 The next step in the Hulk’s evolution is here!